Welcome! If you are on this page, you might be interested in my free digital textbook that is available for Apple, PC, Android, and Chromebook devices. This is the culmination of a two year project, where I visited many state parks throughout the state of Georgia and interviewed scientists and historians about the unique features of the park. 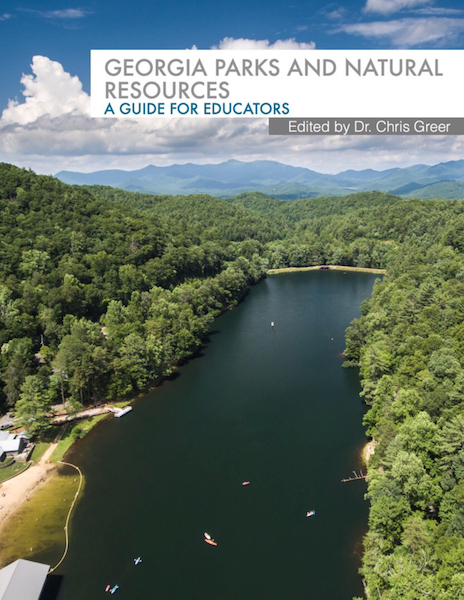 This book is geared as a supplement for the science and history content in K-12 classrooms. It is FILLED with video from the various locations, with emphasis placed on the experts talking to you about each of the parks. please note, this is the preferred version of the book. The Apple multitouch books format is far superior to your normal ePub files and the interface and learning experience looks great and is very engaging. It also contains interactive widgets and quizzes that cannot be included in an ePub file. If you have access to an iPad, this is the version you want. this is the universal ePub format of the book. While it contains all of the text and videos, the layout is not as user friendly as the Apple version. This book can be opened with any e-reader application, which is free on Android, Chromebook, and Windows devices.